One of Tasmanian football’s earliest genuine champions, Roy Bailey was a stalwart of the Lefroy Football Club and of Tasmanian interstate football in the years leading up to the First World War. Born in Albany, Western Australia in 1889, Bailey moved to Tasmania as a youth. He came from a prominent sporting family: his father George had been a member of the first Australian cricket team to tour England, while brothers Keith, Guy and Alan were all decent footballers in their own right, Keith gaining particular fame as the first captain of Cananore in the TFL. Joining the Lefroy Football Club junior side as an 11-year old in 1900, Bailey served a distinctive apprenticeship with the team, and was a member of their Derwent Football Association premiership in 1903. By 1907, now aged 18, the young Bailey had established himself as a regular senior player with the Lefroy TFL team, and over the next eight seasons went on to build a reputation as one of the finest defenders in the state. Equally adept in the air and at ground level and very rarely beaten, Bailey’s ability to repel attack after attack by opposition teams regularly drew the highest of praise from contemporaries, while his attacking runs out of defence – sometimes measuring the entire length of the ground – set up numerous scoring opportunities for his team going the other way. 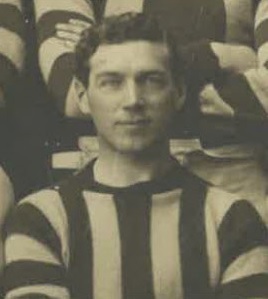 As a result, Bailey was able to experience a great deal of individual and team success during his career, featuring in three Lefroy premiership teams (two TFL and one State), winning a club champion award in 1909 and being appointed as Lefroy captain in 1913, a role he played for two seasons. He also carried with him a reputation as one of the most universally well-liked players of his day, with his fair and gentlemanly conduct on the field earning him the utmost respect from the footballing fraternity. Bailey’s talent was matched only by his remarkable consistency, and this fact – along with his penchant for saving his best performances for big matches – meant that he was regularly one of the first players picked for combined teams, be they TFL or Tasmanian. This is further emphasised by the fact that Bailey was the only Tasmanian to appear in all three pre-WWI National Football Carnivals, including as captain for the 1914 edition in Sydney. The 1914 Carnival sadly proved to be Bailey’s footballing swansong: war had been declared the day before the Carnival commenced, and by December Bailey – along with all three brothers – had enlisted, Roy with the AIF’s 3rd Light Horse Regiment. Bailey would be one of the lucky few who served for a significant period of time in France and still returned home – his brother Guy was not so fortunate – eventually returning home in 1919. Still aged only 30, many expected Bailey to pull the boots on again, however he never did, meaning that his superb career ended aged just 25. In later life Bailey moved to the north of the state. He died in 1935 aged 46.